I found this recipe on an amazing paleo blog called Eat Drink Paleo. These are a rich yet light chocolate brownie. 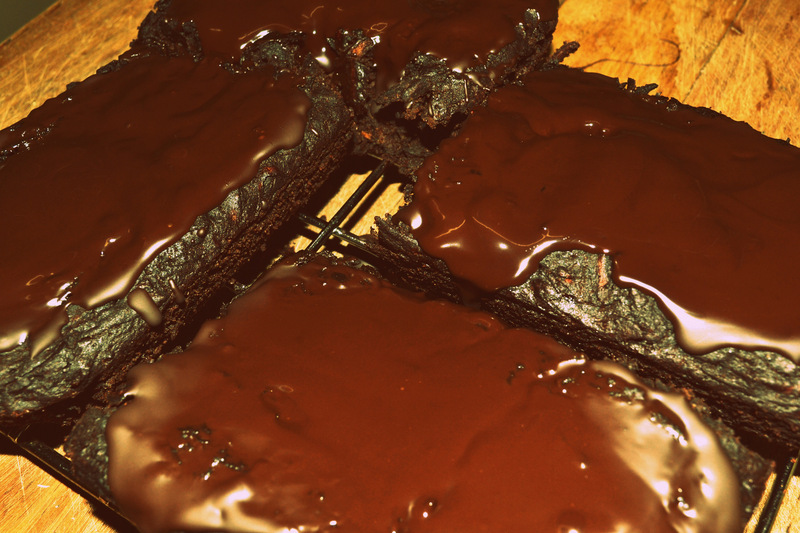 They are paleo and sugar free – except I put a 85% cocoa chocolate ganache on top. But for a sugar free ganache option you can always use coconut oil, cacao and a little maple syrup. Combine grated sweet potato, eggs, vanilla, honey and olive oil in a large mixing bowl and stir together until well incorporated. Then add baking powder and baking soda and stir. Add cacao powder, mix and finally add coconut flour. Avoid adding too much coconut flour as it will absorb too much moisture which will result in drier brownies. Cook for 25-30 minutes. Remove the tin and cool for 5-10 minutes before carefully removing the brownie cake form the tin. You can cut it in quarters and remove one part at a time if the bottom stick a little. Leave the brownie cake to cool down before cutting. Finally, melt some dark chocolate in a bowl over boiling water or in a microwave. Use a spatula to drizzle and spread melted chocolate over the top. Slice into individual serving squares. You can also top them with raspberries or strawberries. Yummo! 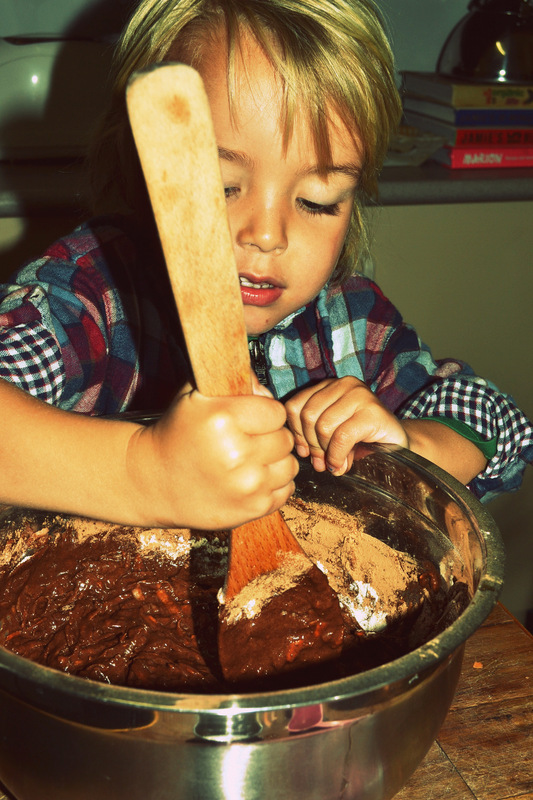 He is so cute and sound of the recipe makes me want to do it.